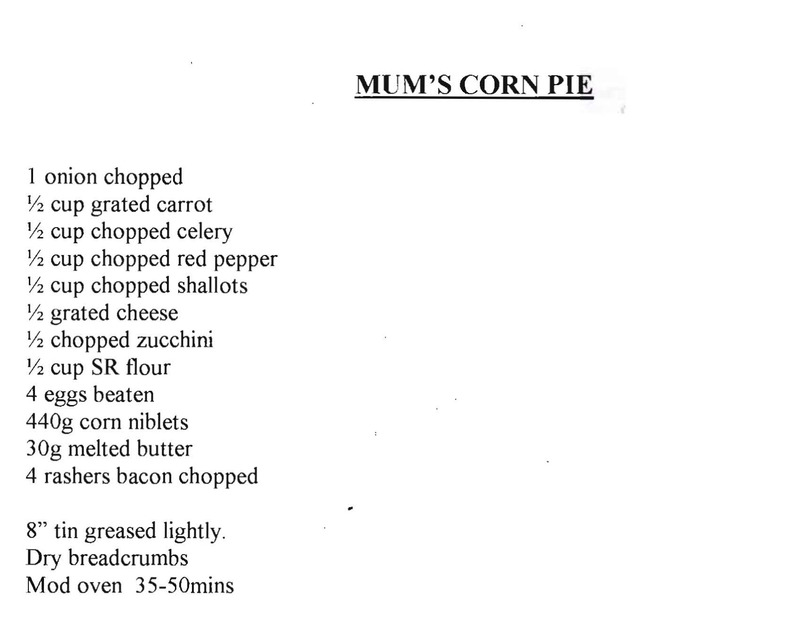 I think Mum’s Egg and Bacon Pies were my favorite and the best thing to take on a picnic, but as well she made this Corn Pie. This was more for at home lunches. It makes quite a large pie and is great with a salad. This entry was posted in All Recipes, Salads & Vegetables and tagged 1990s, bacon, carrot, corn pie, onion, sweet corn, zucchini by bebsrecipes. Bookmark the permalink.